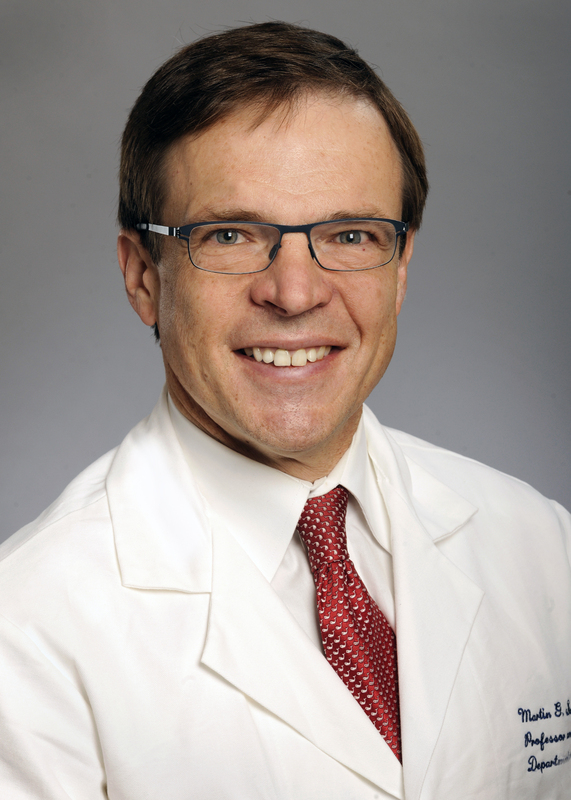 Martin Sanda, MD, a member of the Winship Cancer Institute, chairman of the Emory Urology Department and internationally recognized prostate cancer scientist. Martin Sanda, MD, a member of the Winship Cancer Institute, chairman of the Emory Urology Department and internationally recognized prostate cancer scientist, delivered big news about better prostate cancer diagnosis, at the American Urological Association’s 2013 Annual Meeting May 4 - 8 in San Diego. As corresponding and presenting author of the abstract "Prostate Health Index (phi) for Reducing Overdetection of Indolent Prostate Cancer and Unnecessary Biopsy While Improving Detection of Aggressive Cancers," Sanda presented findings that represent a significant step towards better detection and diagnosing of fast-growing prostate cancers, and fewer unnecessary biopsies of indolent cancers. The Prostate Health Index (phi), a blood test used to evaluate the probability of prostate cancer diagnosis, outperformed commonly used prostate-specific antigen (PSA) and free/total prostate-specific antigen (%fPSA) tests in predicting the presence of clinically significant prostate cancer and in improving prostate cancer detection, according to the new study. The phi test focuses on measuring a subtype of PSA, called pro-PSA, that unlike the rudimentary total PSA, is preferentially made by aggressive prostate cancers and less so by normal prostate or slow-growing cancers. Sanda and his collaborators found that among men being considered for prostate biopsy due to abnormal results on the traditional "total" PSA test, one in four had phi test results that indicated no aggressive cancer would be found and unnecessary biopsy could be averted. The test was approved by the US Food and Drug Administration (FDA) in 2012 and is being prepared for release for general clinical use soon. The study also found using a specific phi benchmark level may help identify biopsy candidates and reduce over-detection of slow-growing prostate cancer. "This investigation is a crucial step towards implementing better diagnostic tools for prostate cancer. It will help us solve the well-recognized shortcomings of routine, prostate cancer screening with the traditional ‘total’ PSA test, by refining the process to avoid unnecessary prostate biopsies and overtreatment of slow-growing cancers, while allowing us to still detect those cancers for which treatment is appropriate," said Sanda. The study consisted of 658 participants who were 50 years of age or older with a biopsy-confirmed prostate cancer diagnosis, a final PSA between 4-10 ng/mL and a benign rectal examination. Study investigators evaluated prediction of clinically significant cancer (aggressive histopathology per Epstein criteria or Gleason 7+) based on pre-biopsy measures of pro-PSA, total PSA, fPSA, %fPSA and phi and evaluated prospects for eliminating unnecessary biopsies based on results of phi prior to biopsy. One in four men had a phi level below 27, which is the 90 percent sensitivity cut-point, and thereby could be spared from undergoing unnecessary prostate biopsy or over-diagnosis of non-aggressive disease. Study investigators concluded phi outperformed PSA and %fPSA in detecting clinically significant prostate cancer..
"The phi test has already been approved by the FDA and will become broadly available as soon as insurers determine fees for the test," said Sanda. "Being able to more accurately find aggressive cancers, and reduce the number of unnecessary biopsies of indolent cancers, by using the phi blood test, ultimately will help make it possible to retain the benefits of prostate cancer screening while reducing possible harms of over-detection and over-treatment."